The Sensory Wave Climber™ is the industry’s first playground climber that allows children of all abilities to enjoy the benefits of climbing while enhancing sensory development. 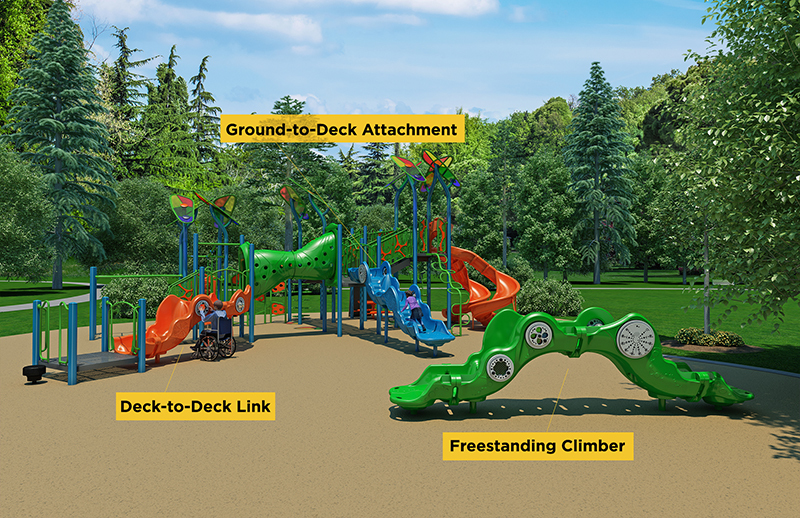 Strategically placed molded-in grips, hand holds and transfer area provide additional support for children of all abilities to maneuver through the climber. With a wide array of auditory, visual and tactile sensors, you can create a sensory-rich freestanding or play system experience for all. Sensory Wave Climber™ is available as a deck-to-deck link, ground-to-deck attachment or a freestanding climber so you can add inclusive, sensory climbing play anywhere on your playground. 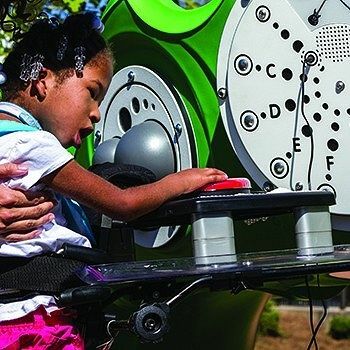 Every model features front-reach capability for people using mobility devices, adaptive switch options and a wide range of auditory, tactile and visual sensors to enhance the play experience for children of all abilities. With nearly two dozen sensors to choose from, this is the industry’s first climber to provide a customizable sensory play experience. The unique design allows front reach capability from a mobility device. It’s an inclusive climbing and sensory play combo unlike any other.